Yukon. A vast land of wide open spaces, natural phenomena and majestic scenic beauty where mountains meet the sky. Whether it’s the northern lights or the midnight sun, arts and crafts, festivals and events, hiking, biking or shopping, we have it all. As you experience our scenic drives, hike the trails or paddle the rivers, you’ll see the land and its people as immortalized in the writings of Robert W. Service, Jack London and Pierre Berton. We offer incredible landscapes such as Kluane National Park and Reserve of Canada, home to Mount Logan, Canada’s tallest mountain, along with the largest non-polar icefield in the world. Come enjoy majestic rivers such as the Yukon, the Tatshenshini, Alsek, Peel and Bonnet Plume. Drive the world famous Alaska Highway or stop in at the many museums, interpretive centres and First Nation cultural/heritage centres that showcase Yukon’s unique history. 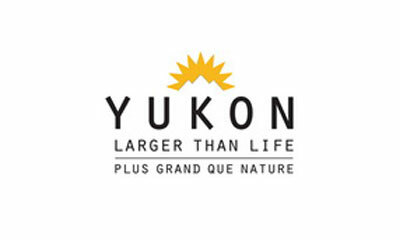 Come and experience Yukon for yourself and discover why Yukon truly is Larger than Life.